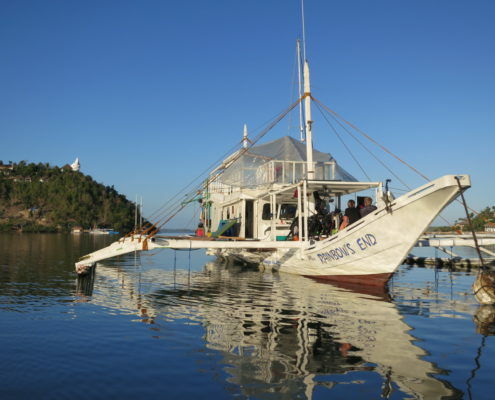 One of the most exciting activities on Pandan Island is to go on a dive safari with one of our two dive boats, “M/B Karla” or “M/B Rainbow’s End”. 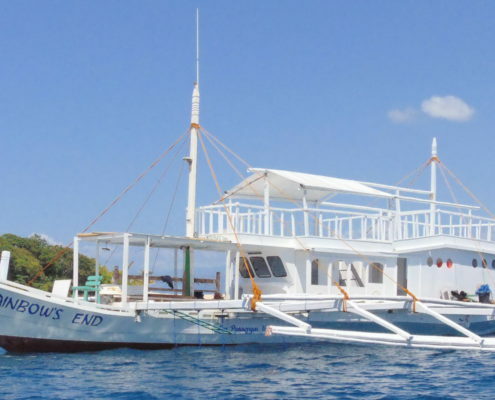 Both vessels are local outrigger boats, called ‘bangkas’ or ‘bancas’ and are custom built for dive safaris, they provide fast and safe transport to all the dive sites and a large shaded area to spend your surface intervals. 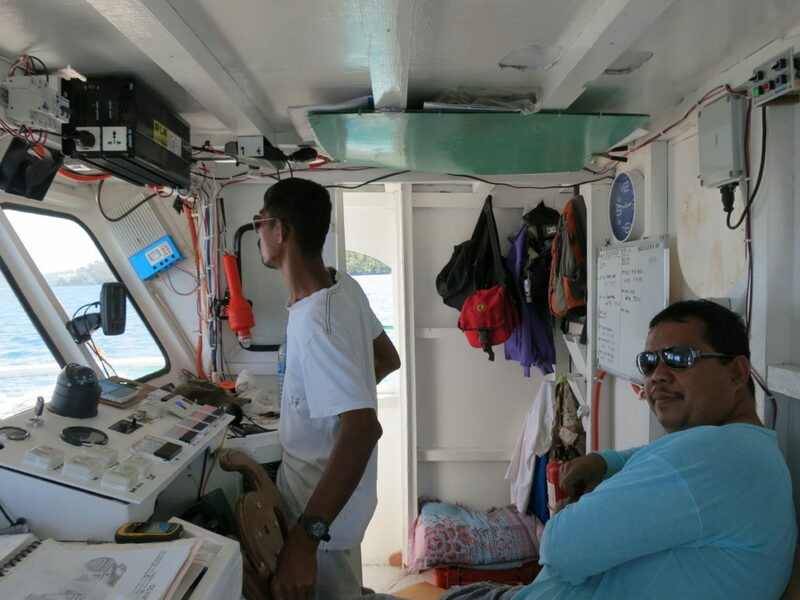 Modern navigation and communication equipment, Schifauer air compressors, Wenoll oxygen systems and flushing toilets are standard on both bancas. 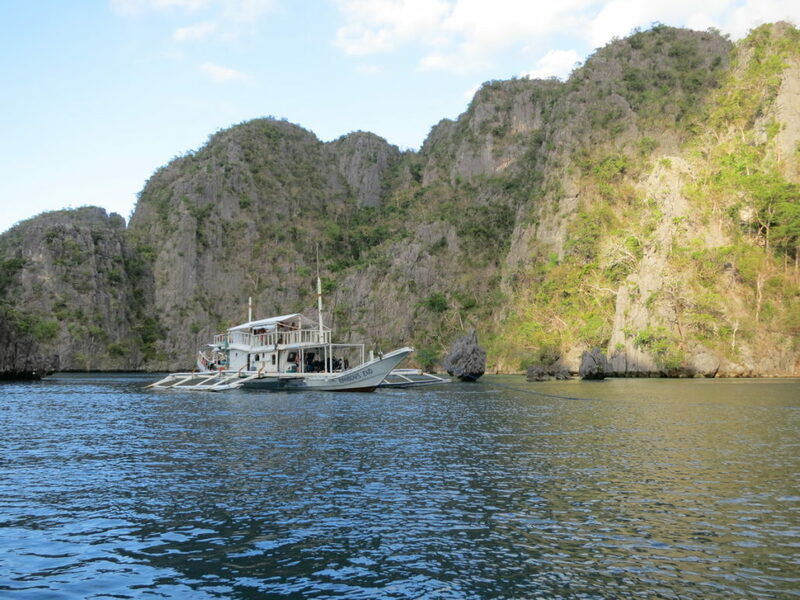 Our two main destinations for safaris are Apo Reef, with its coral gardens and deep walls for one or two days trips and Coron (Busuanga) with its hundred of islets and its famous World War II wrecks for four to six days trips. 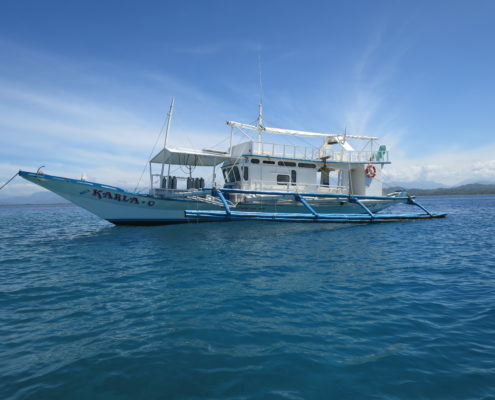 For those divers who do not have a lot of time but still would like to experience the thrill of a wreck dive we also organize three day trips to the the nearest – and probably best kept – wreck of Busuanga, the Dimalanta Wreck. 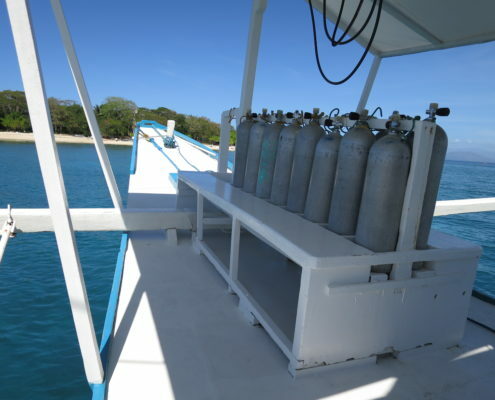 This safari also includes dives on Apo Reef. 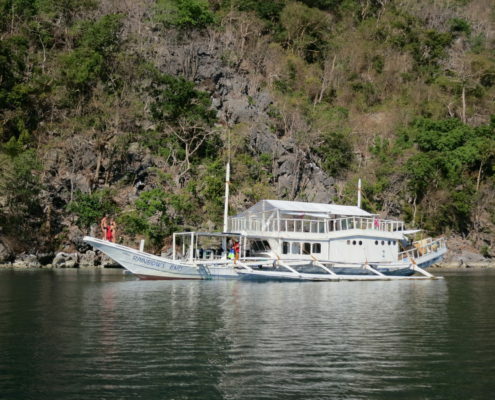 Trips to Apo Reef are organized on a regular basis, about two to three times a week, the safaris to Busuanga are about twice a month. 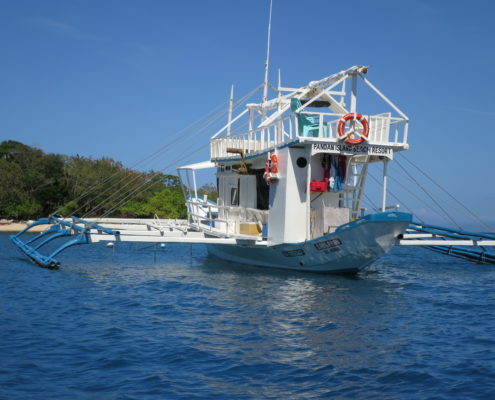 Pandan Island is the closest dive operator to the world-known Apo Reef, and is established as the leading diveshop organizing dive-safaris to the reef. 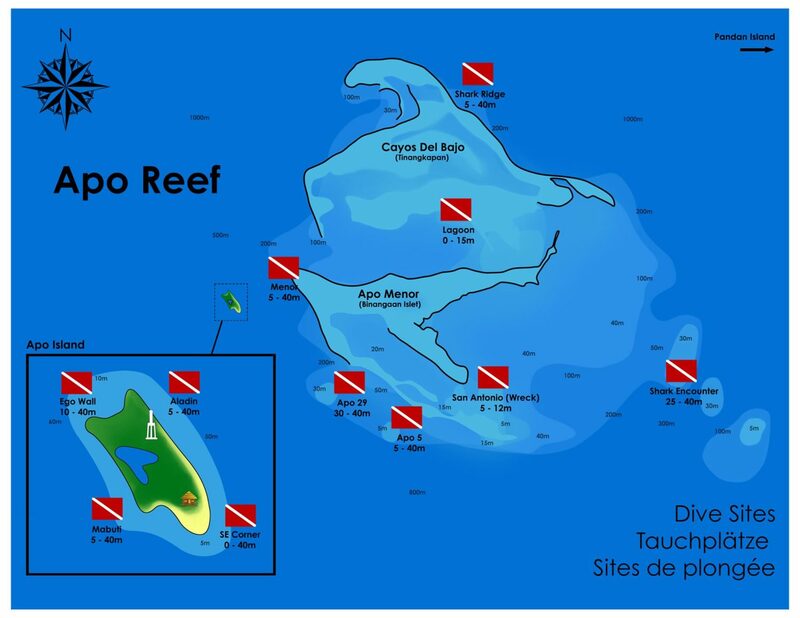 Apo Reef is an atoll of 40 square kilometers and offers uncountable dive sites and a good chance to see sharks and other pelagics. 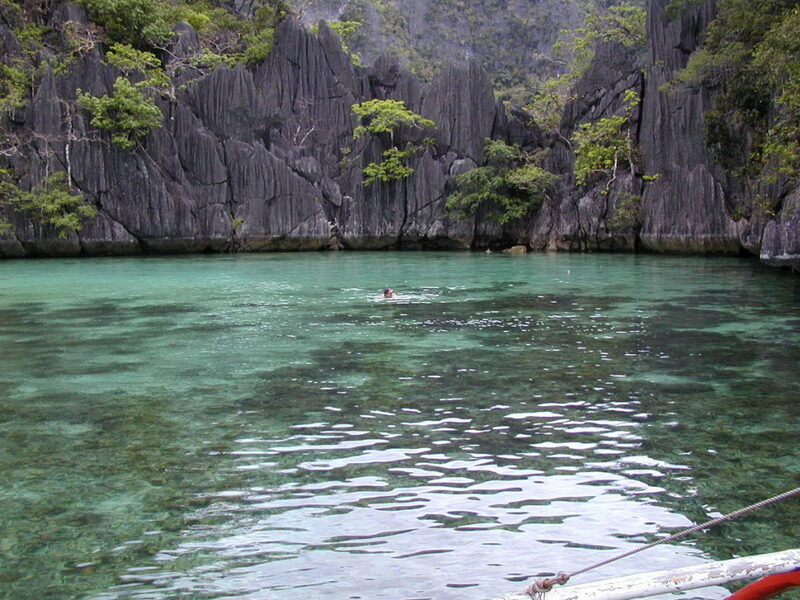 Turtles are also very common. 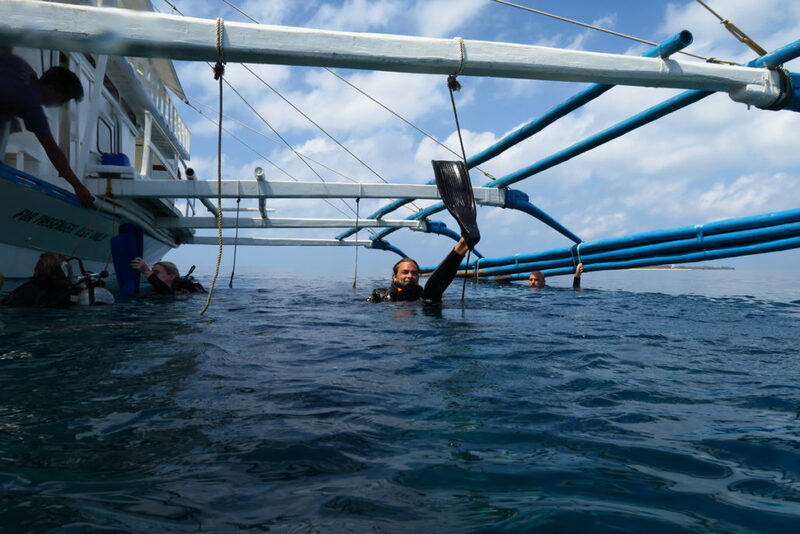 The reef is famous for its marine life and drop-offs, which are mostly vertical walls down to 30 – 80 meters. 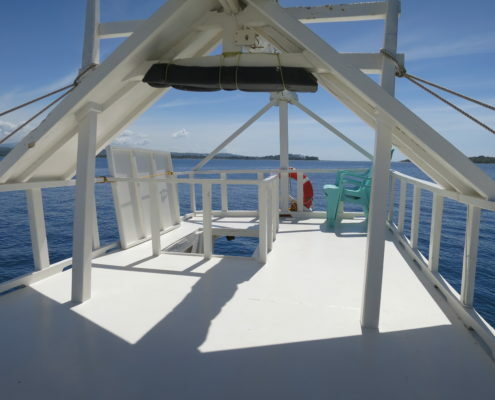 From Pandan Island Apo Reef can be reached by the outrigger boats”M/B Karla” or “M/B Rainbow’s End” in only ninety minutes. 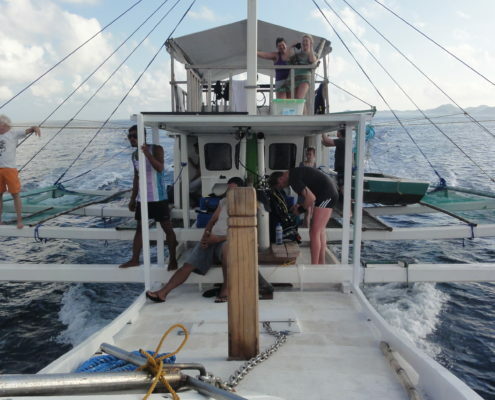 Because conditions on Apo Reef can be difficult a check-up dive around Pandan Island is mandatory for all divers with less than 100 logged dives before they can join a divesafari to Apo Reef to ensure the safety of all parties. 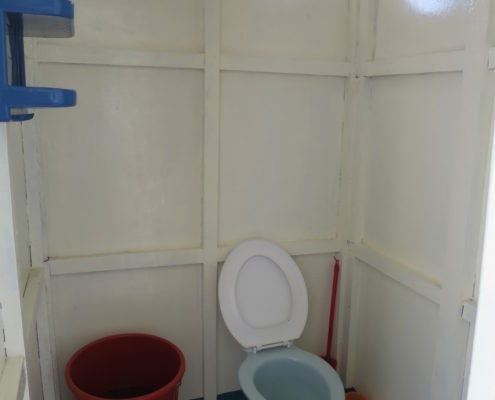 There are strictly no exception to this rules. 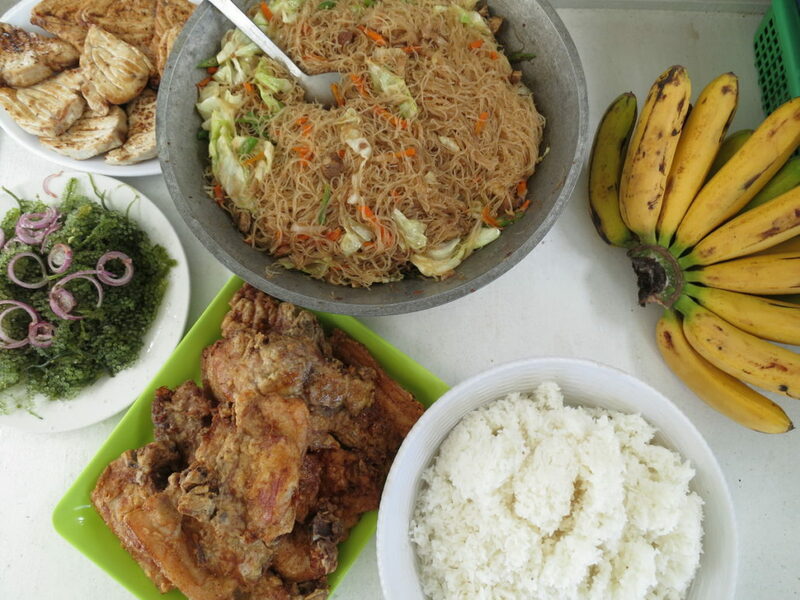 If you like to learn more about our guidelines please visit our Guidelines-page. 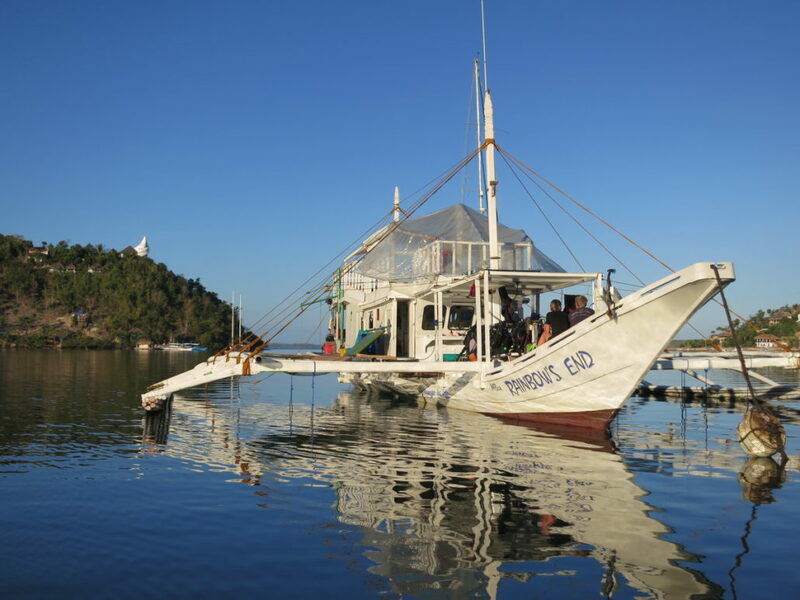 APO REEF has been declared a marine park a couple of years ago, an entrance fee levied by the Eco-tourism Office Sablayan has to be paid by each visitor. 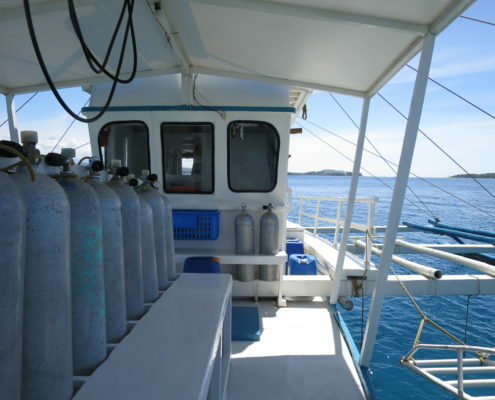 13:00 am Surfacing from second dive, lunch break, surface interval, possibility to visit Apo Island. 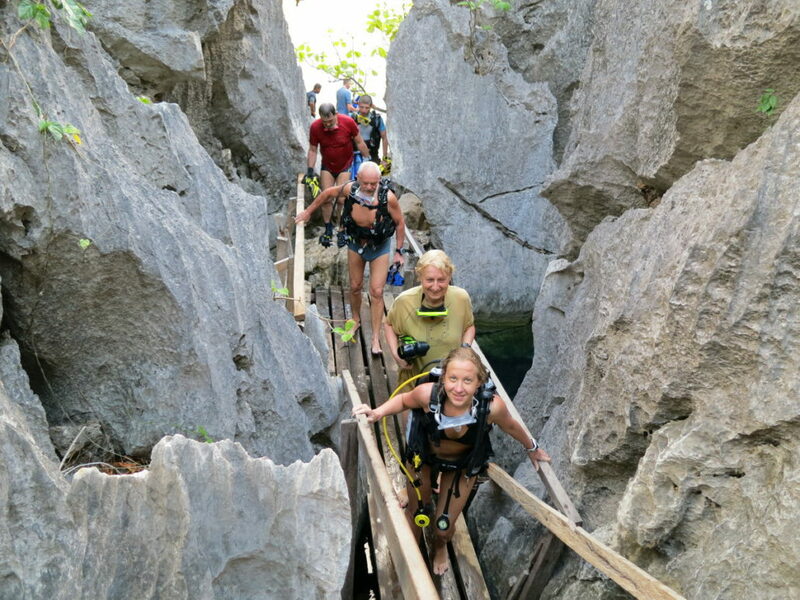 This schedule is approximate and can change due to weather conditions and other events. 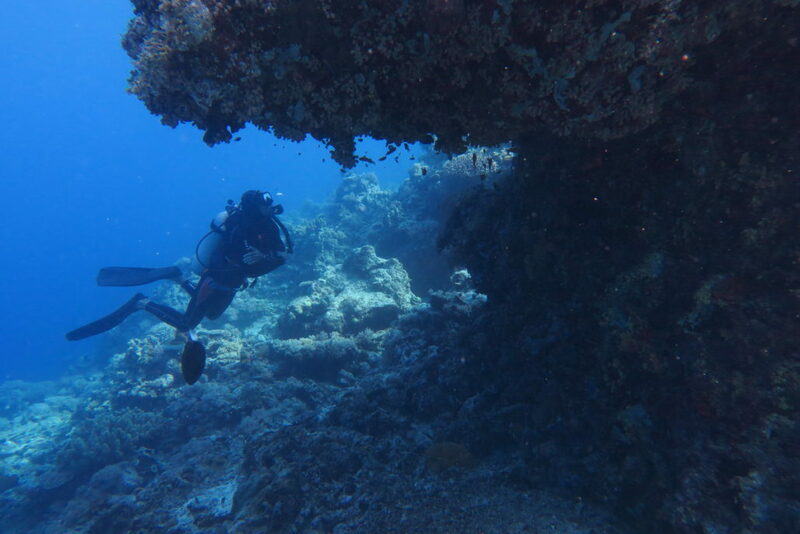 Depth between 10 – 50 m. The whole North-east side of Apo reef consists of a sheer drop with many overhangs. 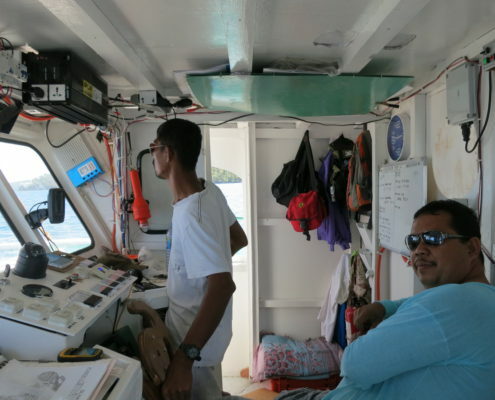 Whitetip and gray reef sharks are common sight here as well as turtles, barracudas and schools of snappers. 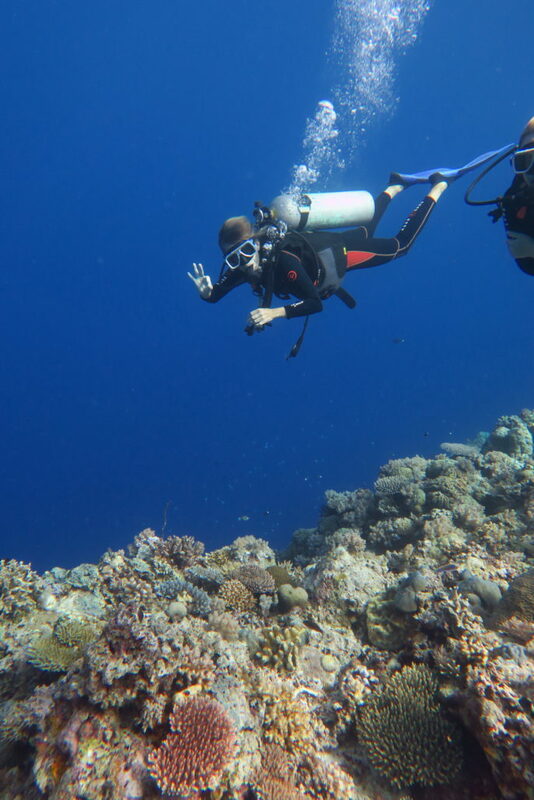 There are several dive sites around Apo island ranging between 10 and 50 m. These site are the best as far as corals are concerned. 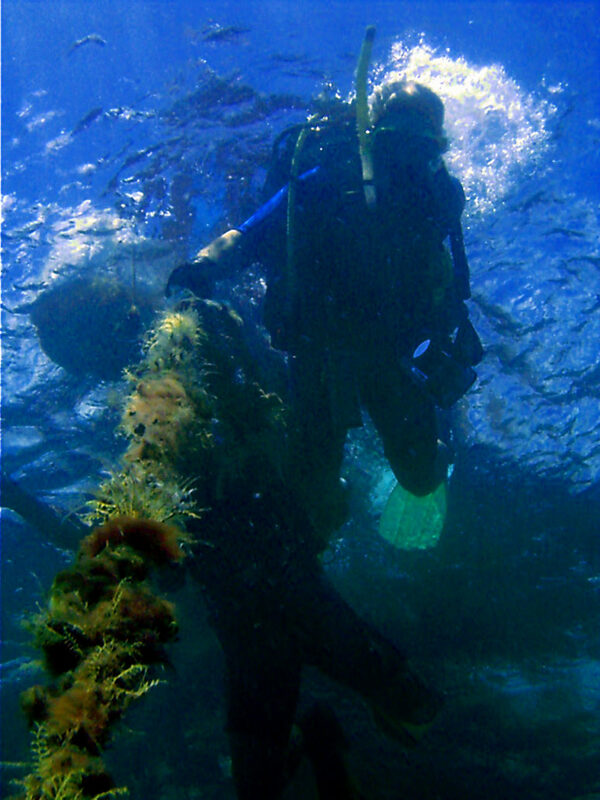 Huge table corals, stag horns, brain corals, fire corals and a huge variety of soft corals can be found all around the island. 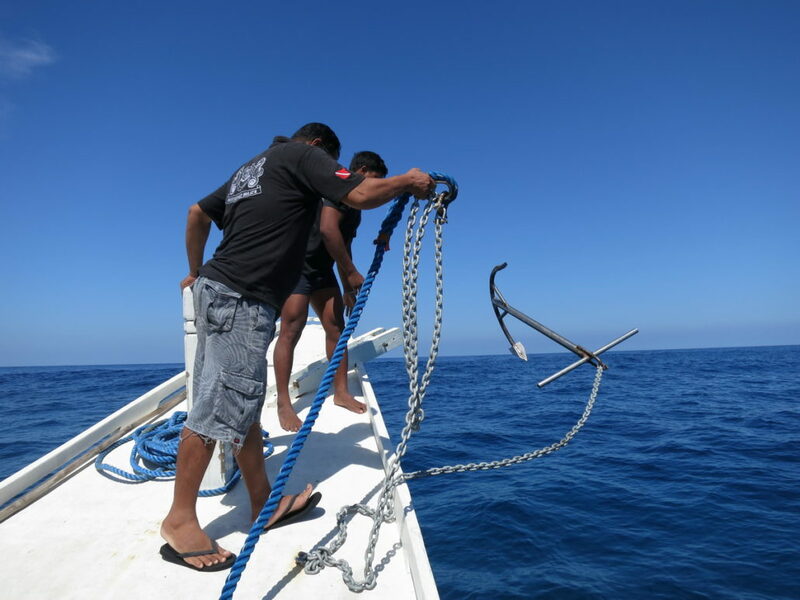 The northern, eastern an southern side consist of sheer drops with many pelagics and turtles, in recent years Hammerhead sharks and Manta rays are encountered more and more frequently. 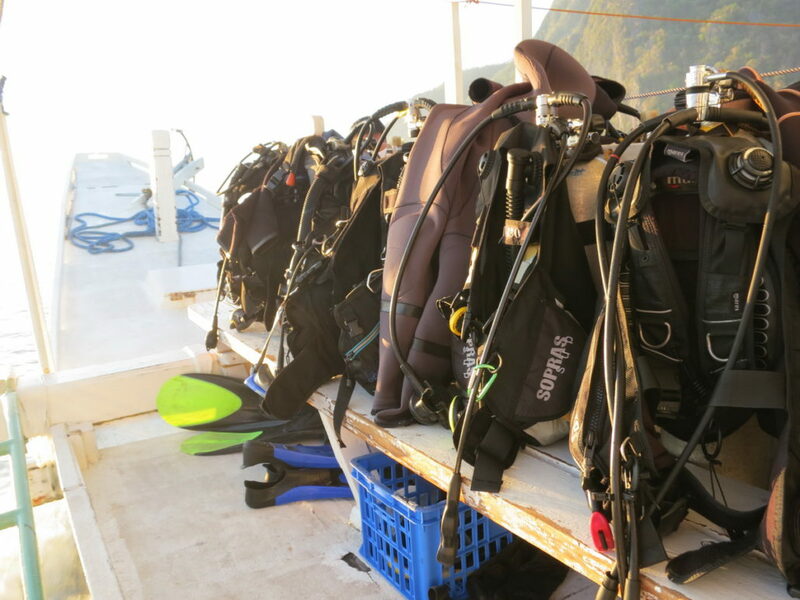 Currents can be unpredictable and make the northern dive site difficult for beginners. 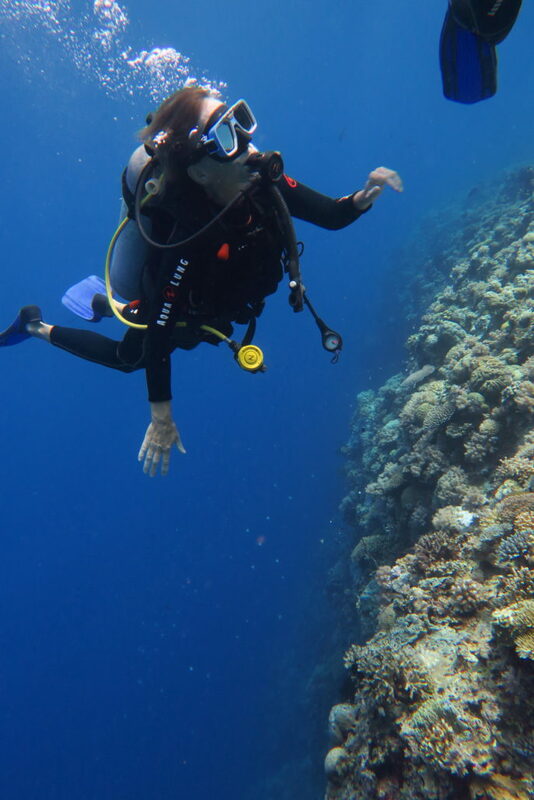 The western side is rather a slope than a drop-off which makes it more easy for less experienced divers. 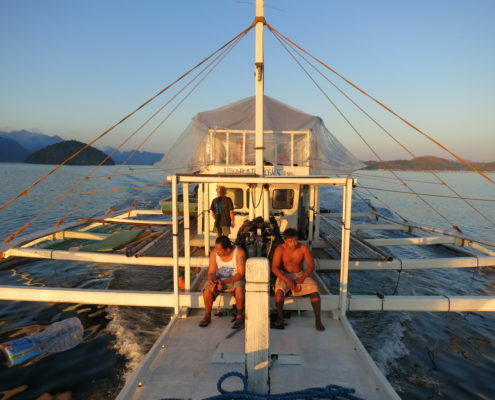 Apo reef has been declared a marine park and there is a turtle sanctuary and a ranger station on Apo island . 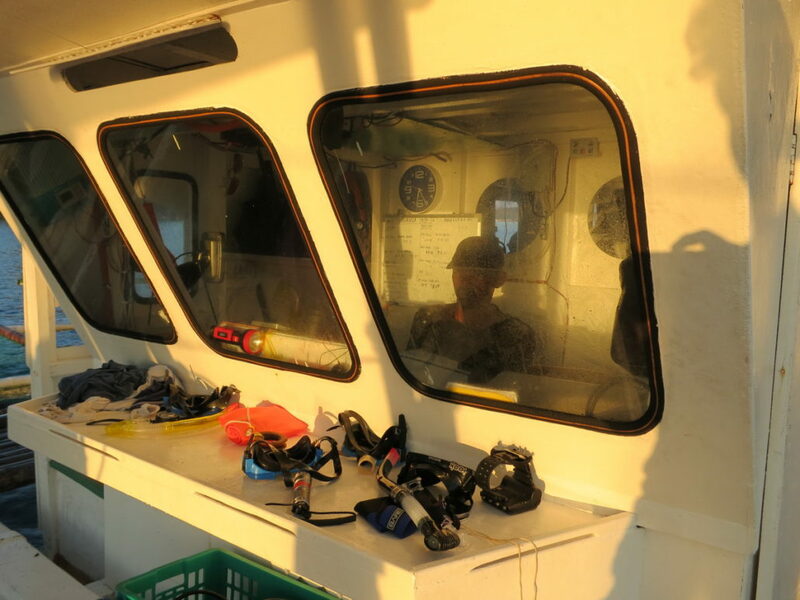 Apo 29 is a an underwater mound reaching to about 25 meters below the surface of the South China Sea, a true blue water dive, only for experienced divers, as currents can be strong and unpredictable and the sharks more curious than in other spots around Apo reef. 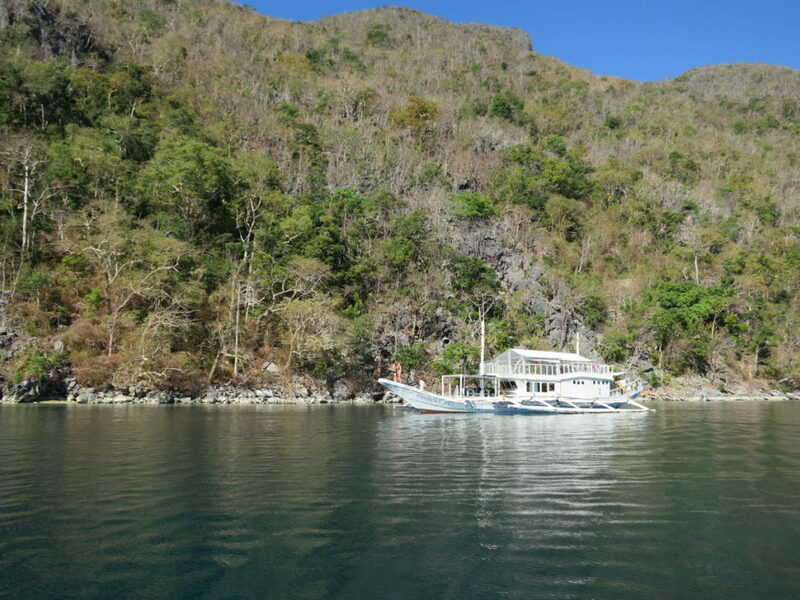 The authors personal favorite, this dive spot located about 10 nautical miles west of Apo Island consists of a rock pinnacle that almost reaches the surface, sharks and big trevallys are very common as are strong current which makes this dive spot tricky for inexperienced divers without professional guide. 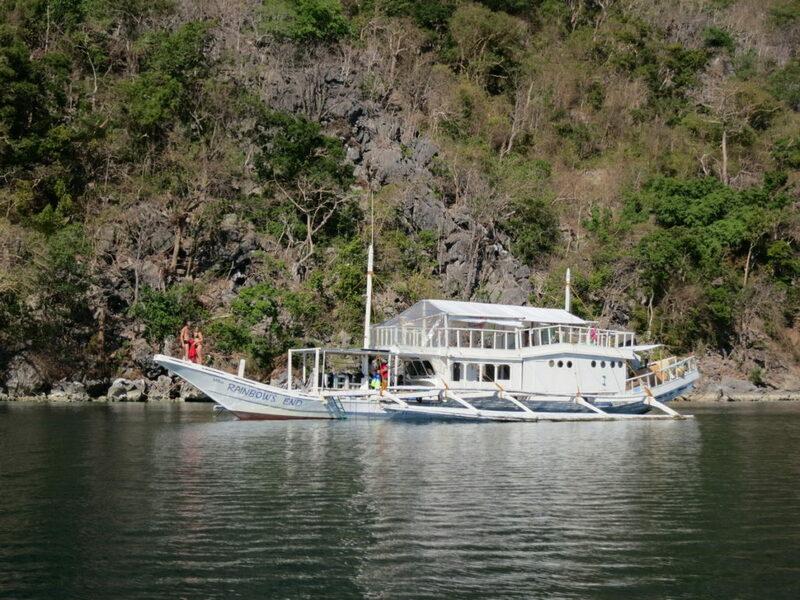 Also Merope, like Hunters Rock, is about 10 nautical miles west of Apo Island which makes it only accessible during overnight Apo trips or on the way to Busuanga. 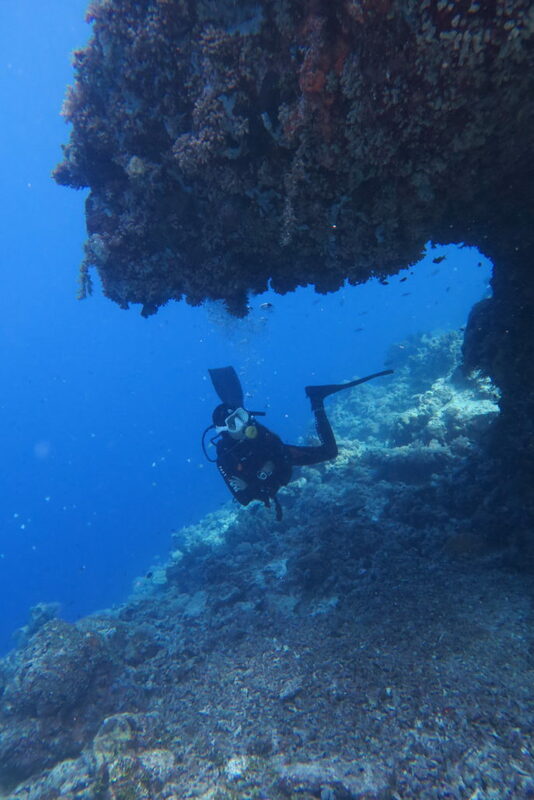 An underwater mound reaching to about 15 below the surface, the eastern side consists of a wall that offers good chances to see sharks, tunas and other pelagics. 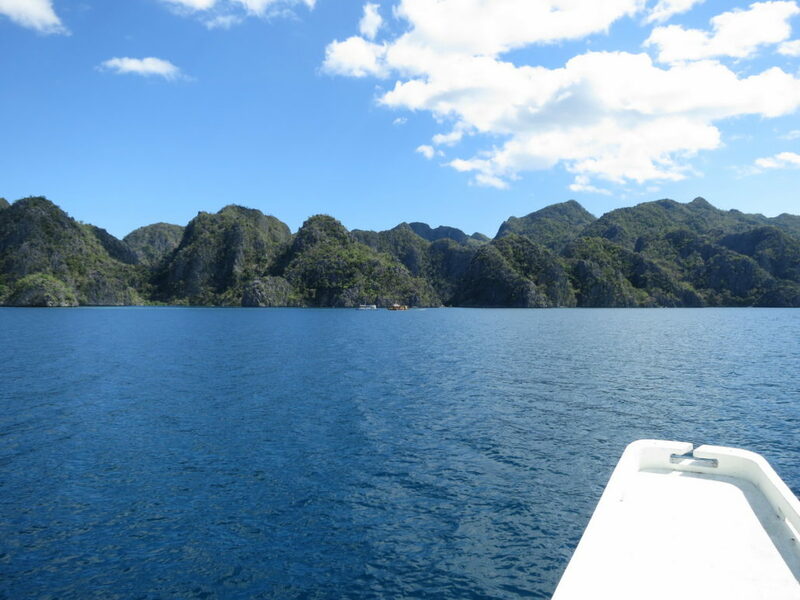 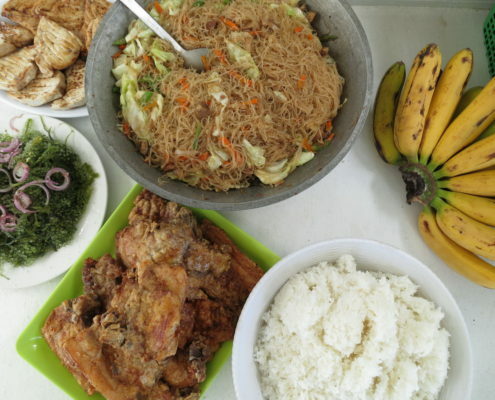 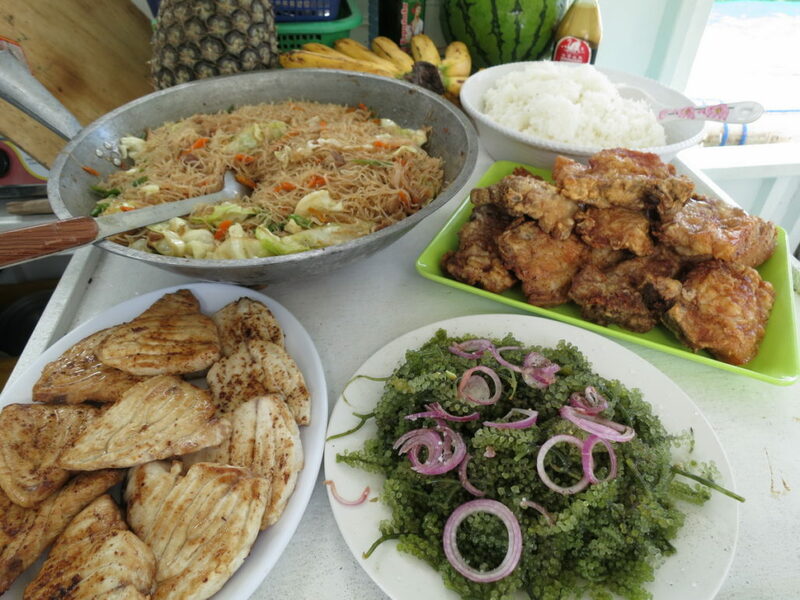 Busuanga Island is the biggest island in the Calamian Group, between Palawan and Mindoro, which consists of several hundred islands, all easy to reach from Pandan Island. 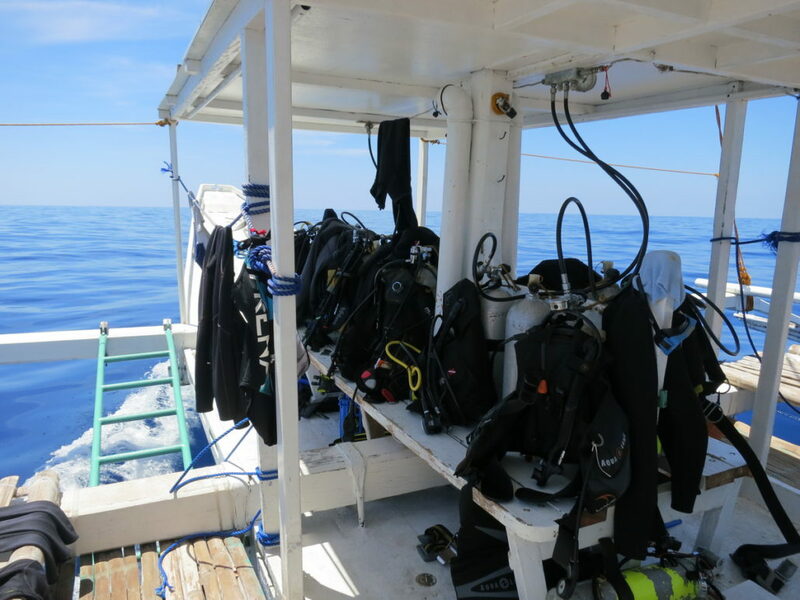 During the 4 or 5 days safaris normally 8 – 16 dives can be made (including night dives), depending on the weather, the beer consumption, the stamina and enthusiasm of the divers…. 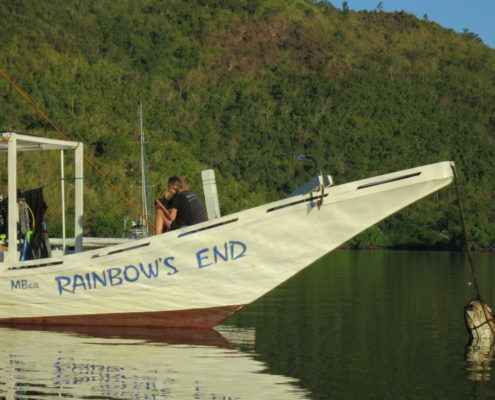 The safari boat is a 27m ‘banca’ (typical local trimaran), M/B Rainbow’s End. 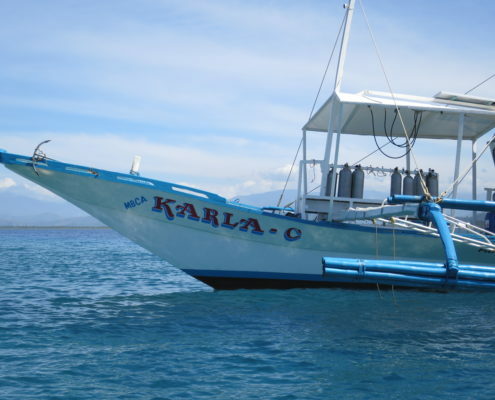 One of the most exciting activities on Pandan Island is to go on a dive safari with one of our two dive boats, ‘M/B Karla’ or ‘M/B Rainbow’s End’. 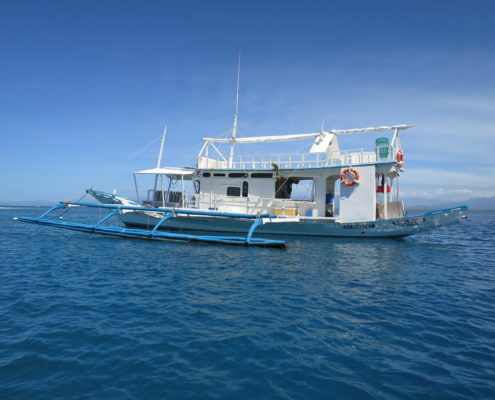 Both vessels are local outrigger boats, called ‘bangkas’ or ‘bancas’ and are custom built for dive safaris, they provide fast and safe transport to all the dive sites and a large shaded area to spend your surface intervals. 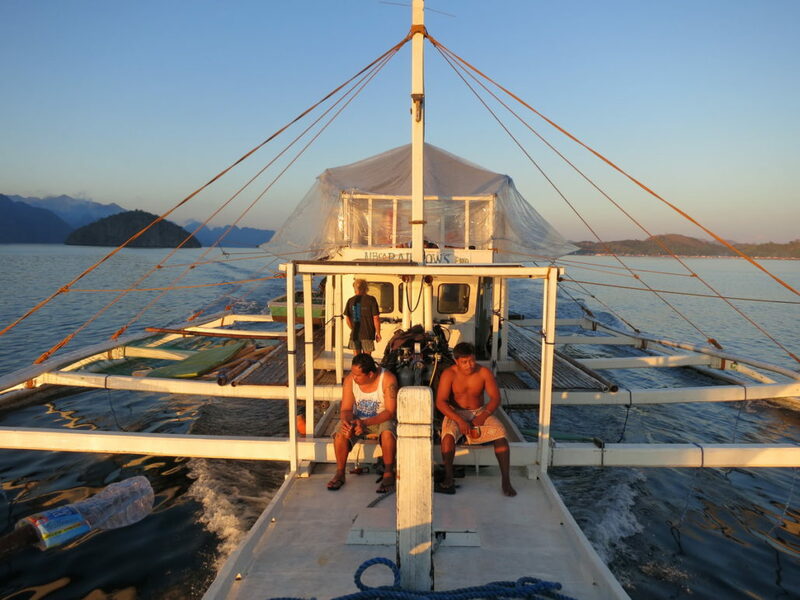 Both our diveboats are local outtriggerboats but great care has been taken to adapt them to the needs and requirements of diving and snorkling activites. 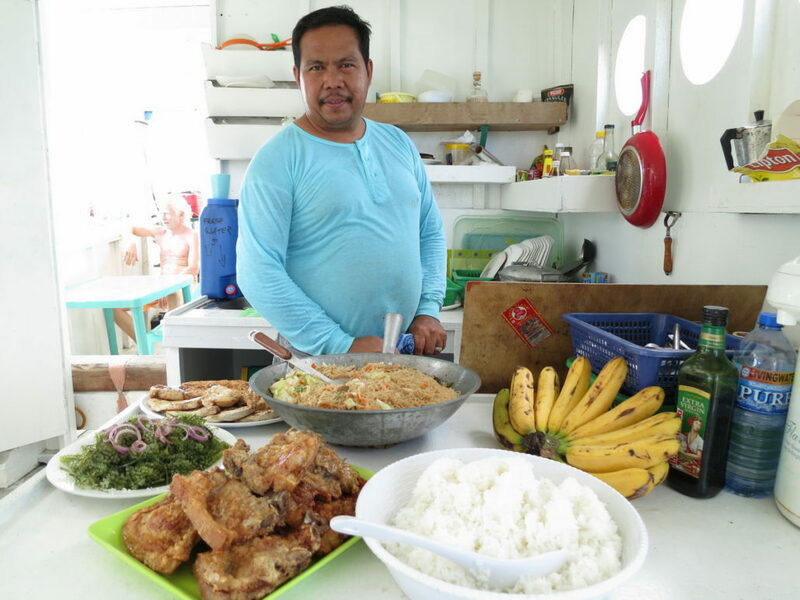 M/B Rainbow’s End, sleeps 9 guests plus 2 guides, the crew, and a chef. 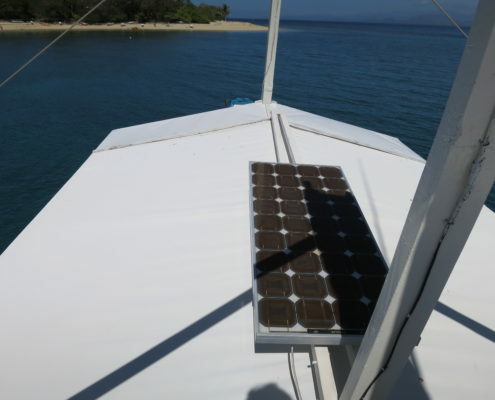 Accommodation is basic, but lovely: we sleep on the large sundeck, under the stars or under a tent, if it’s humid. 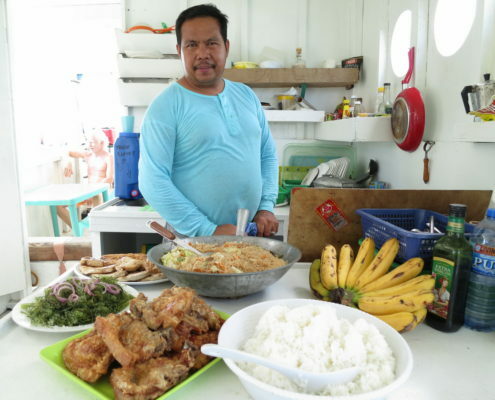 Other amenities onboard are a spacy area for meals, a kitchen, 2 toilets and, thanx to a recently installed desalination unit, a fresh water shower. 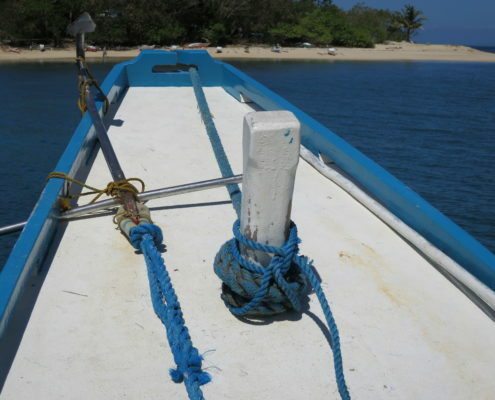 Probably the only ‘banca’ in it’s class so equipped! 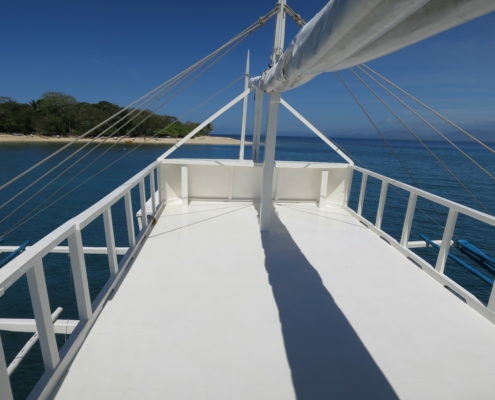 With a marine transmission and cruising speed of over ten knots she guarantees fast and safe journeys from one destination to the next. 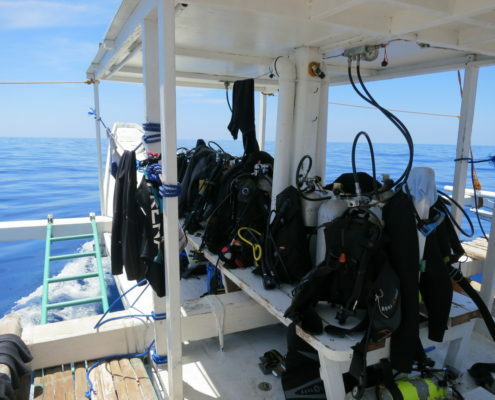 A SCHIFAUER V32 compressor (265 l/min), 230V AC electricity, oxygen and all necessary dive equipment is on board. 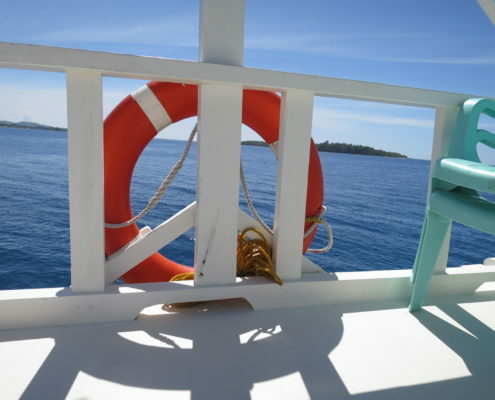 For additional safety we have electric & diesel water-pumps and ‘yacht-style’ hardware. 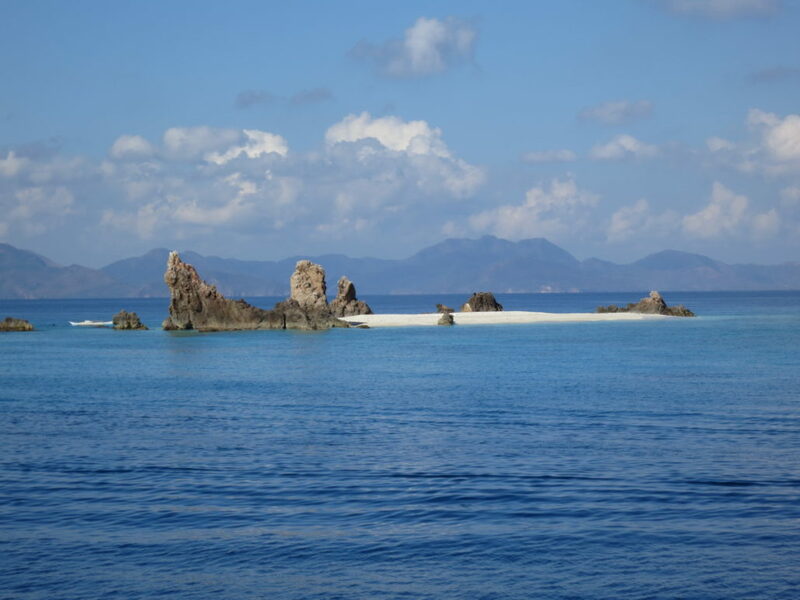 A depth sounder, VHF-radio and GPS make navigation safer, a fast dinghy brings guests to hidden beaches while ‘Rainbow’s End’ lies at anchor off some beautiful island.